Are friends in awe of your expansive vocabulary? Do you love a little friendly smack talk? Challenge for the title of Wordsmith of Saint Mary’s! 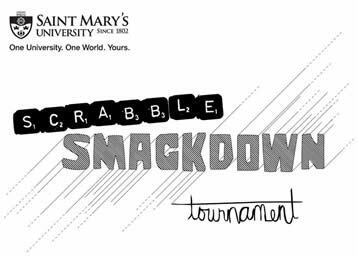 Everyone in our university community is welcome to compete, regardless of Scrabble experience or skill level. Teams may have up to 3 members; preregistration is required. This event is free. There will be refreshments provided for participants.